A company called Niche researches U.S. colleges, schools, neighborhoods, and companies. They recently released their school district rankings. The 2019 Best School Districts ranking is based on rigorous analysis of key statistics and millions of reviews from students and parents using data from the U.S. Department of Education. Ranking factors include state test scores, college readiness, graduation rates, SAT/ACT scores, teacher quality, public school district ratings, and more. 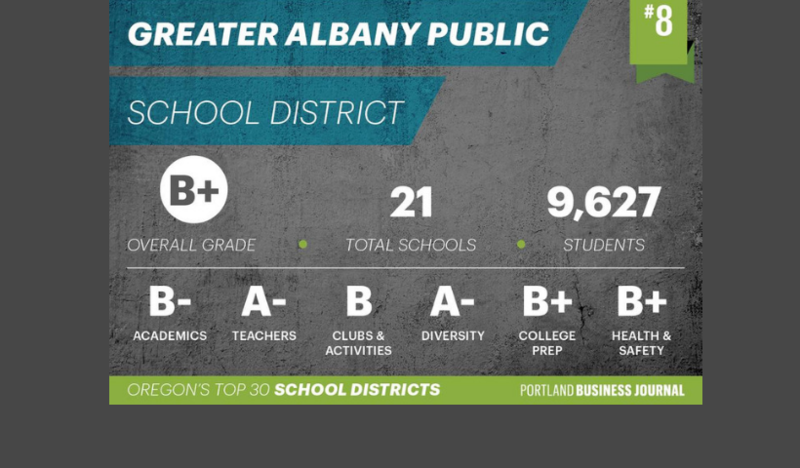 Greater Albany Public Schools ranked #8 in the state of Oregon with an Overall Niche Grade of B+. general de la empresa Niche de B+.